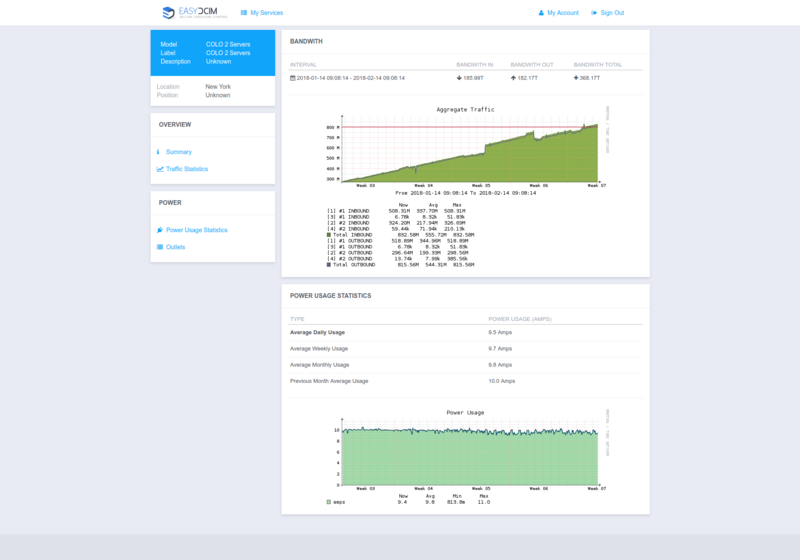 Time For Colocation – EasyDCIM v1.4.3! In EasyDCIM we are ever guided by a holistic approach to modern data center management. One of the key services of an all-around, competitive and security-oriented business is no stranger to anyone. Colocation – the centerpiece of many data center providers is now available in our system! 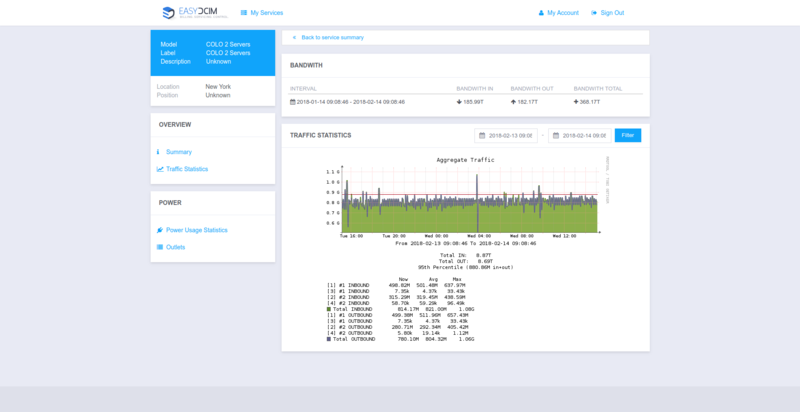 Going straight to the point, EasyDCIM v1.4.3 is ready for action! This time, we channeled our hard work into featuring our system with the vital component – multi-level colocation support. 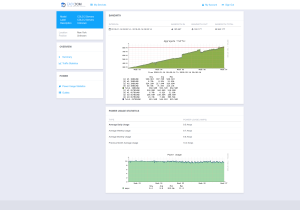 We have enriched EasyDCIM with a dedicated section and widget where you can now list and manage a colocation with details on the traffic and power usage. You will be also enabled to add your devices (including PDU) and ports to a chosen colocation and assign them to your customers with just a few clicks! 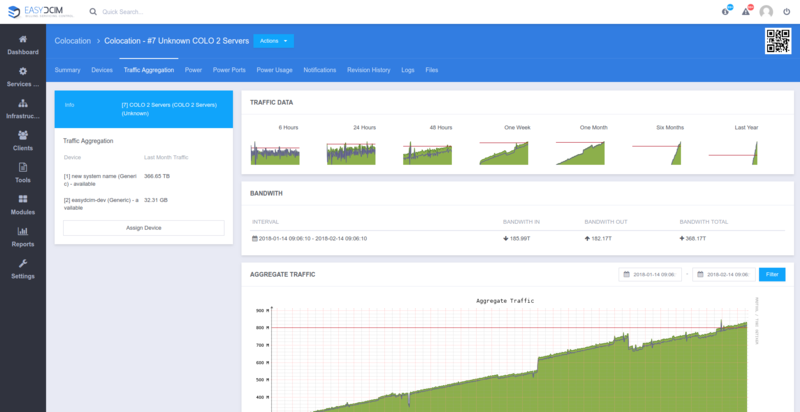 To fully reflect the new possibilities of a colocation, we have revamped the client area to let your customers monitor total bandwidth, traffic and the resource usage of their new service. 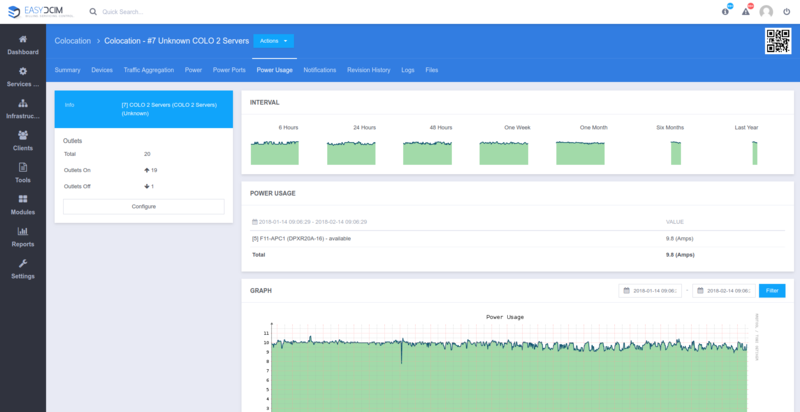 What is more, good folks at ModulesGarden will release a dedicated WHMCS module for EasyDCIM in early March. 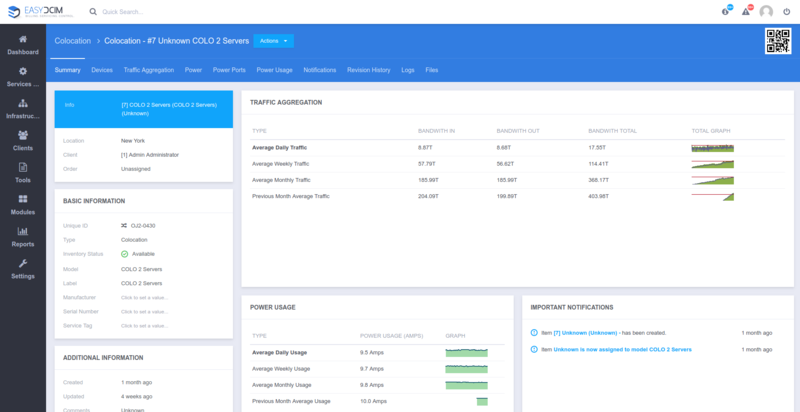 It will empower you to automatically provision a colocation solution and bill your clients for the actual resource usage per service. Stay tuned for more info! It’s time for colocation, but now it’s your move! 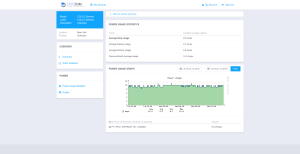 Learn more about new EasyDCIM v1.4.3 and expect more to show up in the upcoming weeks!